At some point, you just have to wonder if the previous owners crossed the line from “blithering idiot” to “criminally insane”. 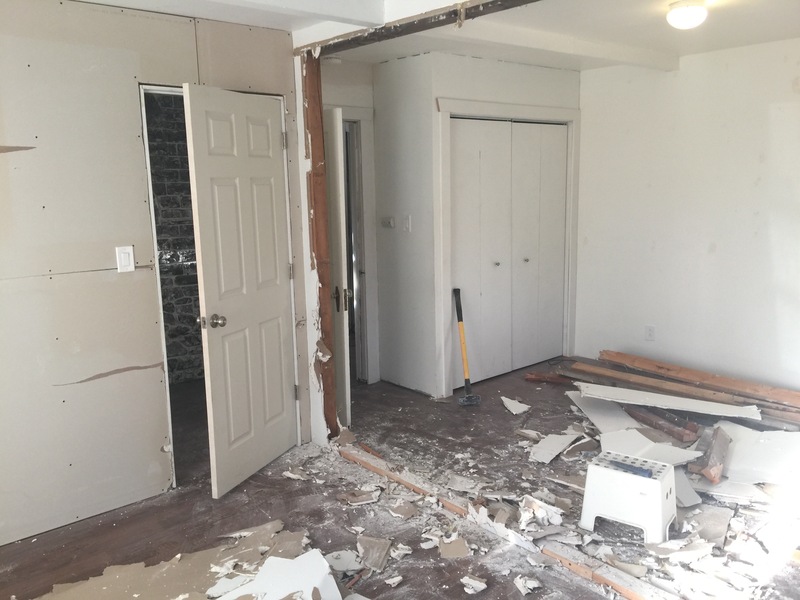 However, just like when I tried to remove part of a heating duct last month, I find that I’m going to have to break the existing structure back further and further until I almost might as well just gut the whole thing right now. 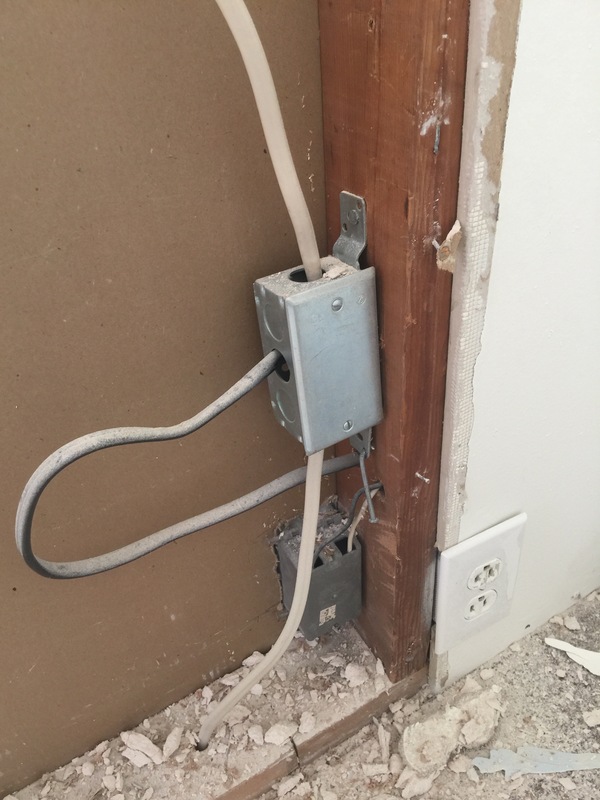 Hidden junction box, weird connector, individual conductors stripped out of the sheath and passed through holes, and (not pictured) wires in a notch between a 2×4 and the drywall with no protector plate. 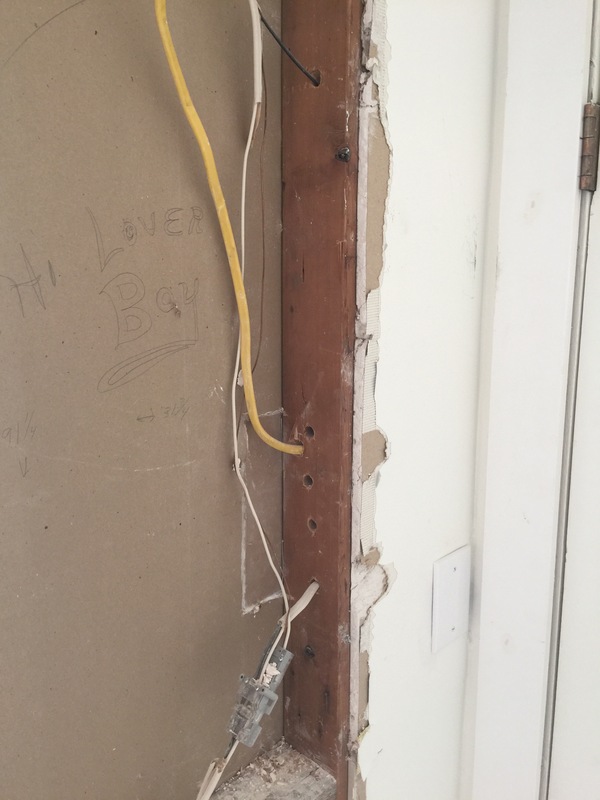 I’m ever more convinced that the previous owners (ptui) wired up the addition with a bunch of 6′-8′ lengths of wire they got surplus and just connected together any old how. At least they’re not just wire-nutted together end-to-end hidden inside the wall, like I found before when I was wiring up the hall lights. And it looks like they built the wall between the rooms and then put in the ceilings. There’s all this structure between the beams and attached to the roof deck up inside the ceiling, that to remove and insulate the cavity, I’m probably going to have to remove a couple of feet of drywall on either side of the joint. And pretty much rebuild the wall that’s got all the weird electrical in it as well. This entry was posted on April 15, 2017, 5:34 pm and is filed under Bedroom, Electrical, Why We Hate The Previous Owners, WTF. You can follow any responses to this entry through RSS 2.0. You can leave a response, or trackback from your own site. I think I am living in their siblings’ house. Many of the same caliber of decisions were made by the previous owner of my house.